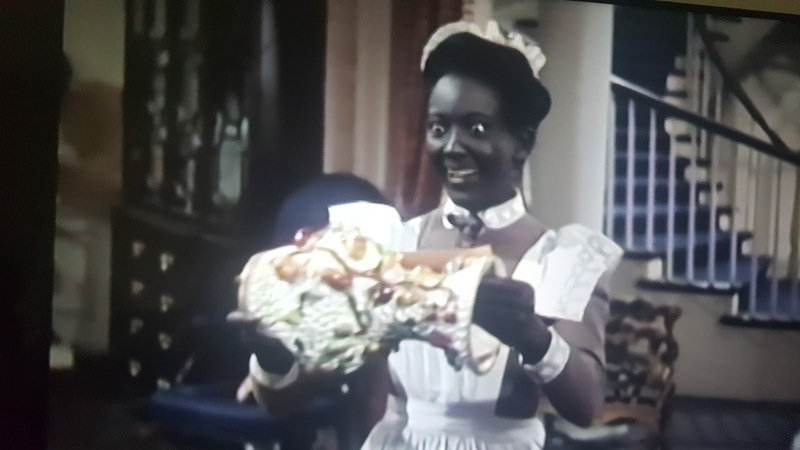 Blossoms is on TCM right now and I was stunned to see the blackface makeup that they made Theresa Harris wear. Your blog post is the only mention I've seen online about this. The male servant character of Zeke was stereotypical, as well. 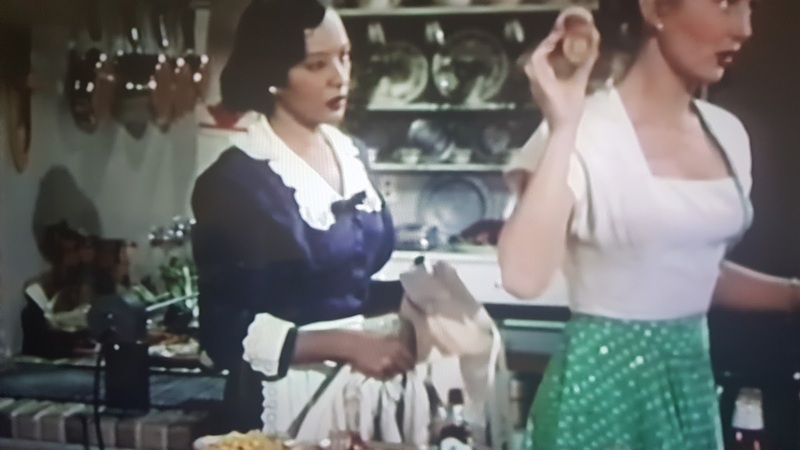 I too am watching the film on TCM, for the very first time, I might add. 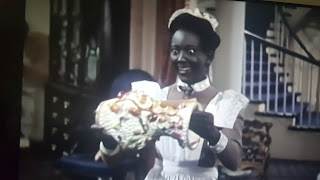 The actor portraying Zeke is not in blackface. However Theresa Harris is. 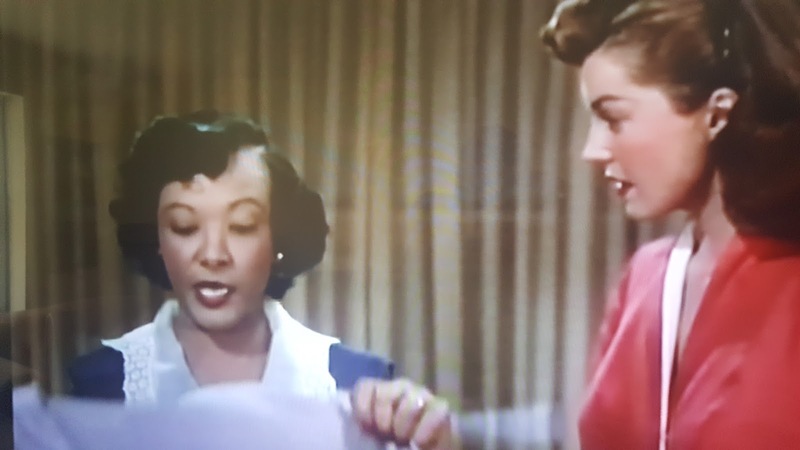 In fact she is the only actor of color, that is.. My conclusion is that the higher ups, at the studio decided to mask her nature beauty as to not upstage Greer Garson. Or perhaps they wanted to punish her(the studios could be quite punitive) in some way for a past transgression. However even under those humiliating circumstances, her indisputable talent shines through. Wow.. Funny how all of us went looking for Theresa Harris info after watching the movie today. The blackface was pretty darn obvious. Wow, looks like we were all watching the same movie at the same time. My first viewing too. Bobby, great post. I stole your pics for a tweet. I am pissed about the blackface thing. Your pics make it clear as day and a very very dark moonless night. Possibly, they didn't want her to upstage Greer Garson, though possibly, they didn't think she look dark enough to pull off black. Either way, pretty messed up. 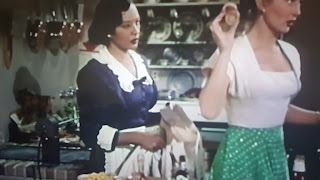 Not only the blackface, but they made her character unable to understand how a thermometer works. The thing that makes Harris stand out to me is that often she uses a normal speaking voice, not black servant-ese. That is definitely the case as Chico in Baby Face. 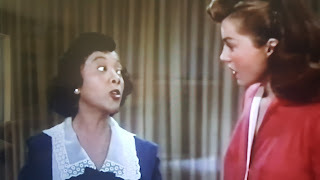 She has a tiny role as Ray Milland/Maureen O'Sullivan's maid in The Big Clock, but what makes her stand out in the 45 seconds of screen time that she has is that she talks like normal. Another great, but small role is in Out of the Past. 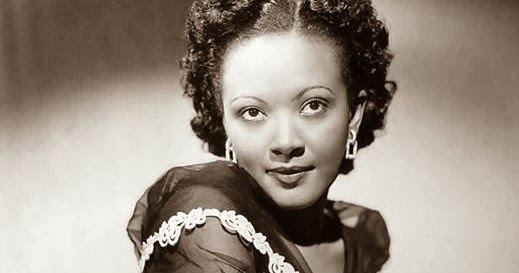 Theresa Harris plays Jane Greer's former maid, whom Robert Mitchum talks to in a bar. What makes this stand out is that her we have her in an all-black bar. 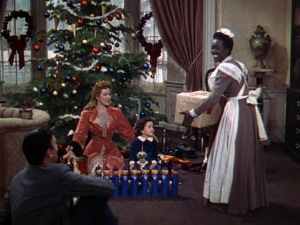 It's sad that this two minute scene stands out as a moment in black cinema history but it kinda does. But then you have the same actress in blackface, talk about a giant step back. 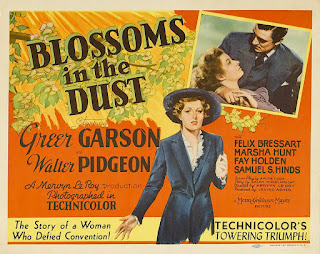 Oh and by the way, Blossoms in the Dust won an Oscar, for Art Direction (Color). 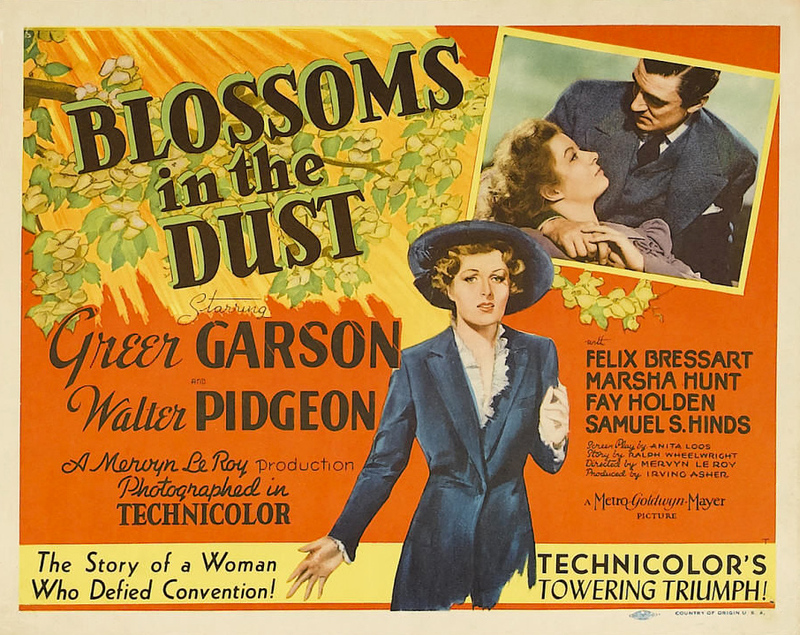 They didn't have an award for makeup back then, but I assume makeup would fall Art Direction, so in a very very broad sense, Blossums in the Dust won an Oscar for that blackface. I am depressed. 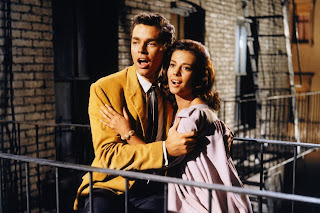 I just watched this movie for the first time. And Wondering about the maid (Theresa Harris) brought me to this blog. I knew something was 'off' about her coloring. It didn't seem natural. Anyway, the movie was touching. 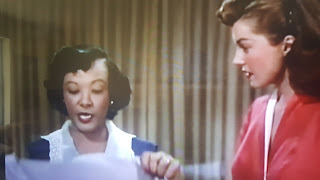 However, it was hard for me to watch the stereotypical Black characters, I know it was the time and place for it back then, but I usually avoid movies like that like the plague.